Dead Swords have announced their debut LP “Enders” and dropped the pseudo-title finale track over at Revolver here. I engineered and produced the album last winter at North End Recording and mixed it in my home studio. The album is due out March 8th on Human Blood, super excited for everyone to hear it! OWEL have released the first video in their “Making of” series on their upcoming full length “Paris,” due out March 29th of next year. The first video covers drums (performed beautifully by their incredible drummer Ryan) and is not only a great look at Audio Pilot Studios, but a nice insight into what the process was like making the album. I’m looking forward to posting and watching the rest of the videos! OWEL has announced their third LP, titled “Paris,” which I engineered, mixed and co-produced with Jay from the band. 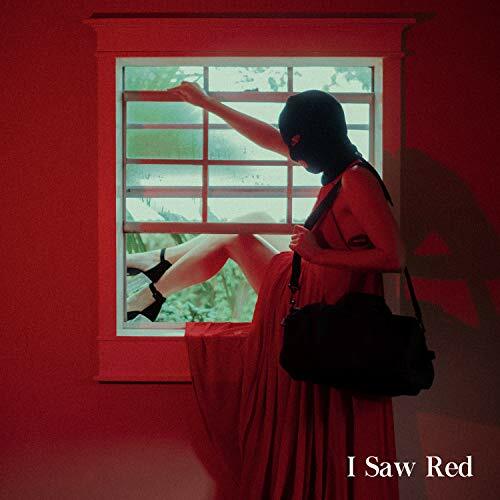 Check out the first single, “I Saw Red,” here. Taconic Release "Bringing Down the Whole Party"
Taconic have released their first single, "Bringing Down the Whole Party," which I produced at the lovely Audio Pilot Studio in June! You can listen to the song here. This is the band's very first single. I plan on doing a more extended blog post about how it came together, stay tuned! Actor | Observer Premiere "On Your Laurels"
Huge congrats to the band for signing to No Sleep Records. The full length drops 8/24 and I couldn't be more excited for everyone to hear it in it's entirety. Props to Rich for the amazing album art and congrats to the band, it's been a long road waiting for this album to see the light of day, and we're almost at the end! The ultimate homies in Vasudeva have released "3 Acoustics" which I had the absolute pleasure of mixing. It was really fun collaborating with Corey again on a recording project and he did a stellar job producing and engineering these tracks, mixing was a breeze and a lot of fun. "3 songs off No Clearance that we rerecorded with a different vibe in mind. Recorded in November of 2017, the songs feature acoustic guitars, toned down drums, percussion, ambient guitar & synth layers. We hope this is something we can keep doing in the future, it was fun to reimagine these songs and we’re really into the results. It was mixed by our longtime friend Kevin Dye of Gates & mastered by Jack Shirley. Alongside it, we’re super happy to release a photo book titled ‘Re-Cap’. We collaborated with our good friend Colin Czerwinski, who travels with us and runs Noice Magazine to make a book of photos that he took while on tour with us throughout all of last year." You can listen to and order the album here. The OWEL song "Paper Hands" which I engineered and mixed will be featured on Teen Mom: Young and Pregnant tonight! The song is off their full-length album "Dear Me" which we recorded at AudioPilot Studio in 2016. Excited for everyone to hear the full length we've been working on!